It is our privilege to provide the quality health care you expect and deserve. Our experienced staff is dedicated to service with knowledge and respect. We look forward to a lasting relationship with you and the community. 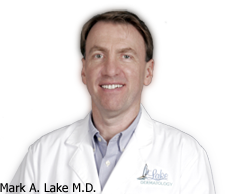 Thanks for choosing Lake Dermatology. 810 South 6th Street Suite B.
Dr. Lake is a member of these organizations. This demonstrates his education, experience and commitment to providing his patients with the highest quality skin care.